Waterbury – God took Normand to Heaven from Wolcott View Manor on Wednesday, September 5, 2018, at the age of 84. He was the husband of the late Florence Lamadeliene, who passed away on May 3, 2002 and to whom he was married for 30 years. He was born to Lucia (Bernier) Bellemare and Adrien Bellemare on March 24, 1934. Norm retired from Bristol Babcock after 38 years of service. His favorite hobbies included entertaining everyone with his beautiful voice, having sung with the choir at the Shrine of Saint Anne, and at many minstrels with the College Capers. His second favorite hobby was dancing. 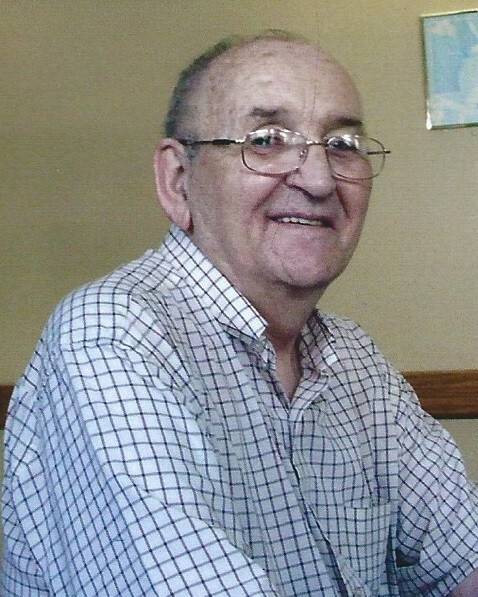 Norm was a member of the Knights of Columbus for many years. Left to cherish his memory are his twin sisters, Georgette Beland and Yvette West, of Waterbury. Also sisters Irene Bellemare, of Waterbury; Claire Katilius, of Prospect; Theresa Lavoie, of Waterbury; Cecile Berry, of Waterbury; and his brother, Ronald Bellemare, and his wife, Linda, of Thomaston. Also several nieces, nephews, and cousins. A Mass will be celebrated at the Basilica of the Immaculate Conception, 74 W. Main St. Waterbury at 9:30 a.m., Saturday, September 15. Meet directly at church. Burial will follow in Grove Cemetery, Naugatuck. There are no calling hours.